I've been loving The Great Big Pressure Cooker Book , and I wanted to give you just one more of the 500 recipes. I was torn. Which one? We really liked the chili a lot, but I was even more smitten with the rice pudding. 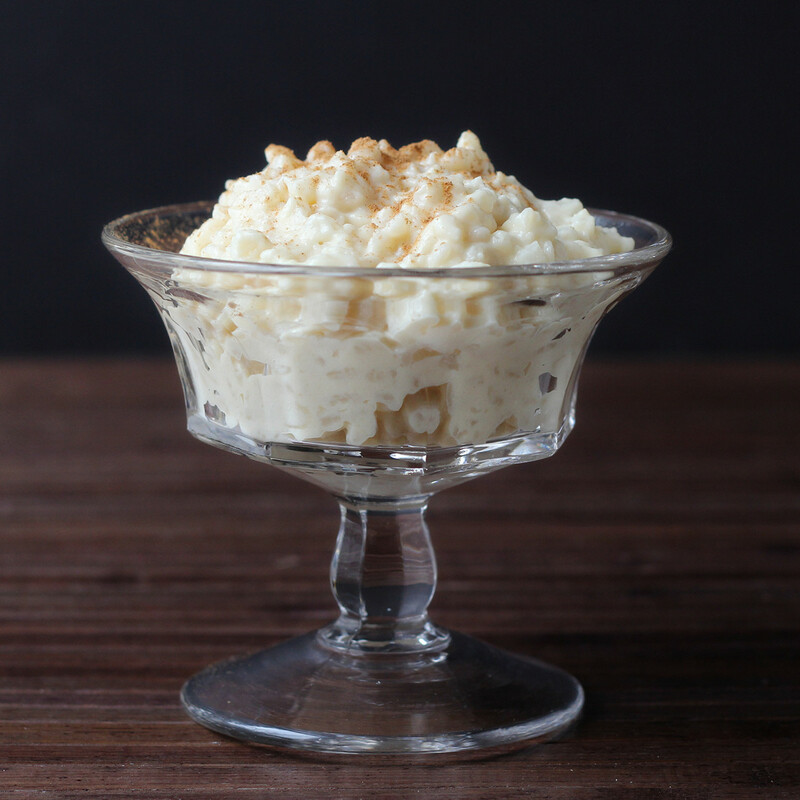 I love rice in all forms, but rice pudding is one of my favorite comfort-food desserts. Many years ago, I used to buy it from a deli, and I've been yearning to recreate that recipe ever since. The recipe in The Great Big Pressure Cooker Book comes very very close. The flavor was right, but the rice was a little undercooked for my taste when I used the recipe exactly as it was in the book,. Part of that is because I live at high altitude, but even when I adjusted for altitude, I wanted the rice just a little softer. I also wanted the pudding to be a little looser and creamier. Again, a matter of taste. The book suggested eating this warm, but I prefer it cold, so that also affects texture. In any case, I adapted the recipe and used a different type of rice, and ended up with this recipe. Melt the butter in the pressure cooker set to the browning function. Add the rice and stir. Cook for one minute, stirring continuously. Add the milk, sugar, vanilla, salt, and water. Keep stirring until the sugar is dissolved and the mixture is heated through, another minute or two. Lock the lid onto the pot and cook on high pressure for 20 minutes. Turn the machine off (not warm - turn it off) and let it return to normal pressure naturally - about 20 minutes. Meanwhile, whisk the egg, egg yolk, and half-and-half together in a medium heatproof bowl. When the pressure has reduced, remove the lid and whisk about 2 cups of the hot rice into the egg mixture, then whisk the egg-rice mixture back into the rice in the pot. Turn the rice cooker to the browning setting and continue stirring or whisking until the pudding has thickened. This should take less than a minute. Remove the internal pot from the pressure cooker and turn the machine off. 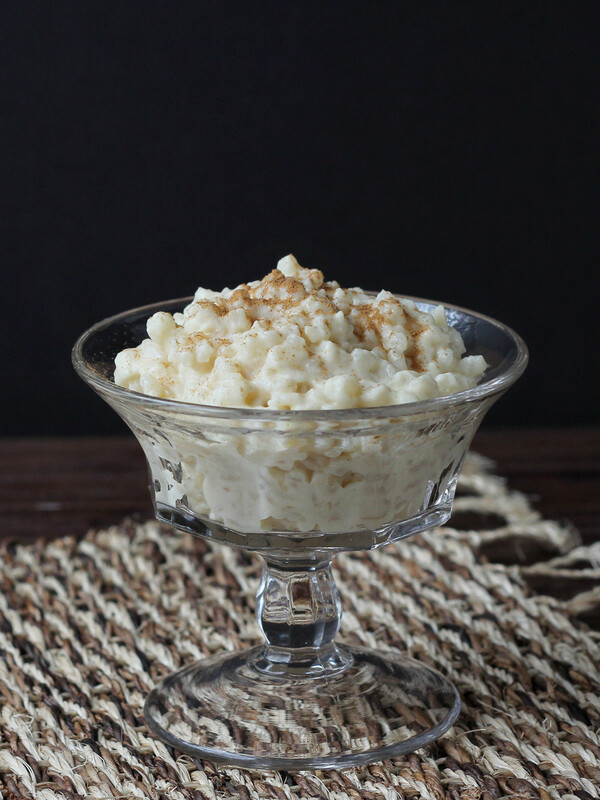 Transfer the rice pudding to a storage container and refrigerate until chilled. Serve cold with some whipped cream or a sprinkle of cinnamon or nutmeg, if desired.